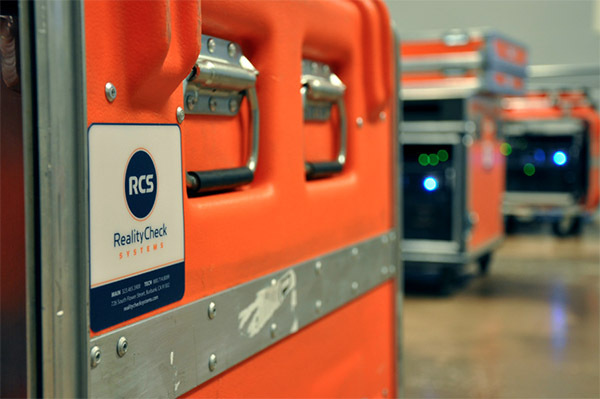 Reality Check Systems’ (RCS) mobile Bullet graphics solutions hit the field last week as televised coverage of the 2014 World Cup kicked off from Brazil. Two of world’s largest sports programming networks, including Univision Deportes, enlisted RCS’ Bullets to power graphics for live studio programming during the tournament, held June 12 to July 13, 2014. Univision’s four Bullet systems, which the network recently installed in its newly built Brazil-based mini-studio, are being used throughout the tournament to handle real-time graphics needs on site. RCS’ Bullet is a portable graphics solution comprising powerful industry-standard software and hardware that facilitate the broadcast of dynamic graphics in real-time. Available for rent, the plug-and-play unit fits seamlessly into a variety of production environments and arrives pre-configured to match the unique demands of each facility.